Recently I had the privilege of speaking at Brianna Cassidy's celebration event in Paradise—a city in California and not the celestial. In preparation for that, I updated "The Grief Recovery Pyramid" article and wrote a mini-monograph entitled Loss, Grief, and Recovery. I also included some new information about the suicidal brain. Before you dismiss them with an "I don't need that information because no one has died in my family" or some similar thought, consider that every human being experiences small losses on a fairly regular basis, losses that can be cumulative. Forewarned is forearmed. Taylor will present The Joy and Jumble of Gender Differences. You can better understand the opposite gender without losing your sanity—and have fun in the process! For more information, contact David or Flo Lowe; leave a name and contact number and they will respond. Longevity Lifestyle Matters is a brain-based program, one of the first of its kind. It is not about dieting—within the space of about three years most people gain back all they lost and more. Neither is it about deprivation, which can lead to bingeing. Nor is it about a negative mindset. That can lead to failure. And it is not about over-exercising or compulsively counting calories, which can lead to discouragement and depression. Rather, it embraces the exponential power of science working hand-in-glove with the brain and body. You can follow the program in your own home using the textbook, companion notebook, and audiobook and/or you can become a LLM Certified Facilitator, which authorizes you to present the12-week program in your community, school, church, or organization. 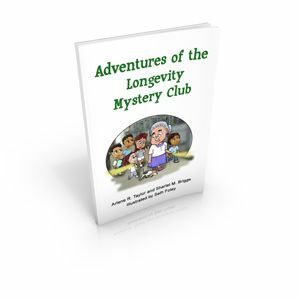 Taylor and Briggs have finished the children's book Adventures of the Longevity Mystery Club, part of the brain-based Longevity Lifestyle Matters series. Designed to help children learn information about health and longevity early in life through stories, Taylor also has recorded it as an audiobook. Chronicles of the Jungle King, Chronicles of the Littlest Dolphin, and Chronicles of the Alabaster Owl are available in hard copy. (Taylor is in the process of recording them to be available in CD and MP3 formats.) Age-Proofing Your Brain, 2nd Edition is available in hardcopy and as an audiobook. Check out the hundreds of brain aerobic exercises on Taylor's website. They’re free, along with the articles and mini-monographs, Practical Applications, Q&As, Brain References, Free Assessments, and so on. I love this quote attributed to Wayne Gretsky, a world-famous hockey player dubbed "The Great One." Growing up in Canada, I watched a lot of hockey—played a little (very little, actually, preferring figure skating as it seemed less dangerous and I wanted to hang onto all my front teeth). The really great players seemed to have honed their skills in estimating where the puck was headed and in following that likely trajectory. My brain's opinion is that Gretzky's quote fits well with a Longevity Lifestyle. Think of the puck as your goals for a happy, healthy, and fit life—one that hopefully lasts for a very long time. If you "skate" to where you have already been, you will continue to get what you’ve always gotten. Creating and living a Longevity Lifestyle is about being alert and aware and "skating" to where you want to go. Note: I was actually thinking about this comment while watching game seven of the NBA finals between the Warriors and Cavaliers. You understand that I've never been a basketball fan. Somewhere I caught a news clip about Stephen Curry and his ability to shoot baskets from almost the middle of the court (well, that's what it looked like to me!). I have a huge regard for what brain and body in concert, with the correct mindset, can accomplish. The news clip peaked my interest in basketball for the first time ever. As I watched the finals (my friends thought I was joking when I told them), and living in Northern California as I do, my brain wanted the Warriors to cap their amazing season with a win. However, my heart could understand how badly the Cleveland fans wanted the Cavaliers to win—fifty-two years is a long time to wait for a win and they finally got it, spurred on by the amazing LeBron James—and watching the players' brains and hearts combine toward that goal was awe-inspiring. Not being a sportscaster or news interviewer, I found it interesting to listen to the questions being asked of the Warriors after the game had ended. Questions about why they "fell short" or "didn't play as well as they could have" or "didn't mirror their performance in some of the earlier season's games." My goodness! I was proud of all the players, especially those who did their best to answer "unanswerable questions" and who remained positive rather than trying to dig up some reason or excuse to satisfy the questioners (some of whom I'd like to see try to sink a ball—consistently. Smile). In these types of competitions, someone wins and someone loses—the game. Some players had never participated in an NBA finals series before and I can only imagine the expectations and stress levels. When a brain has done something once it makes it easier to do it a second time. What their brains learned by having the opportunity to compete in these finals could be learned in no other way and can stand them in good stead for the next series as they apply that learning. Any given brain functions differently on different days—sometimes it can do no wrong and sometimes it struggles just to get through the game. 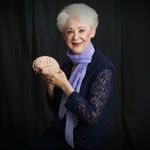 Naturally, the truly great performers are those whose brains are able to perform as consistently as possible over time—but no brain does it flawlessly all the time. Watching the Olympics makes that perfectly clear!